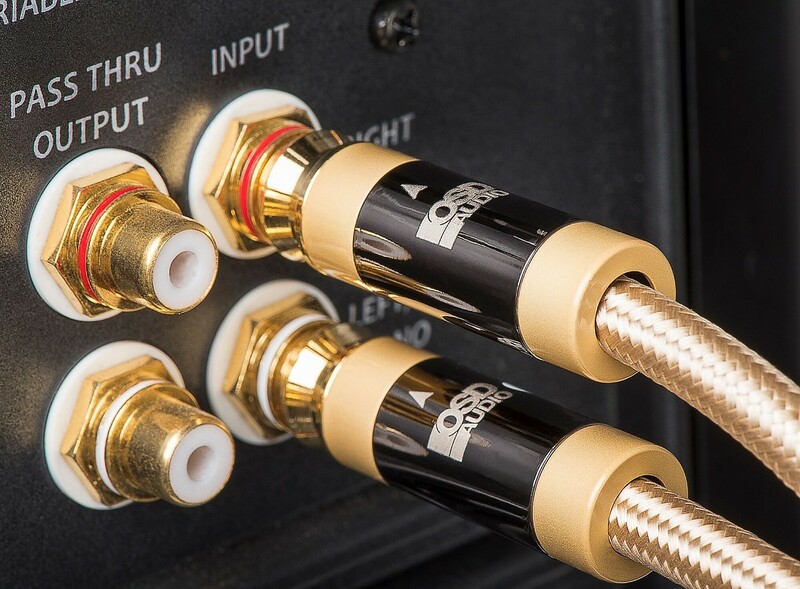 Aurum’s Audiophile-grade Speaker cables are designed for listeners who can hear and appreciate subtle acoustic nuances and include 99.99% pure copper conductors as well as gold/gun-metal-plated connectors for high signal transfer integrity. 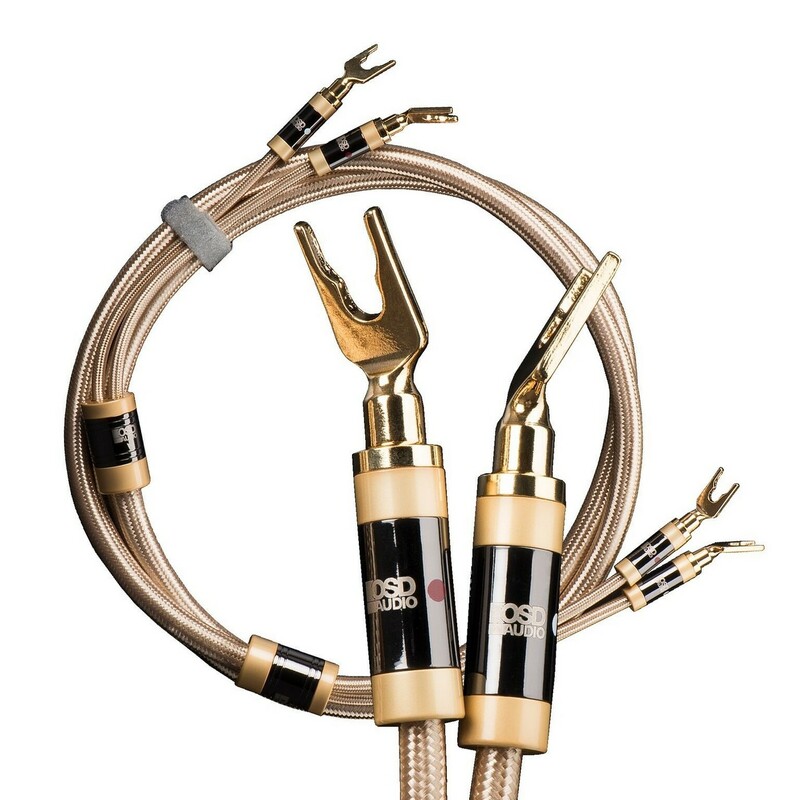 These 14-gauge audio cables can handle the most demanding two-channel or surround sound setups yet are cosmetically pleasing with a flexible golden braided sleeve and matching splitter blocks. 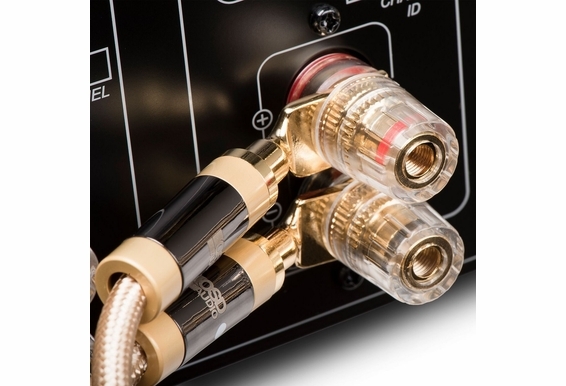 Aurum’s Audiophile-grade 2-connductor 14-gauge speaker cable lets you experience the cleanest, clearest audio possible from your two-channel or surround sound audio system. 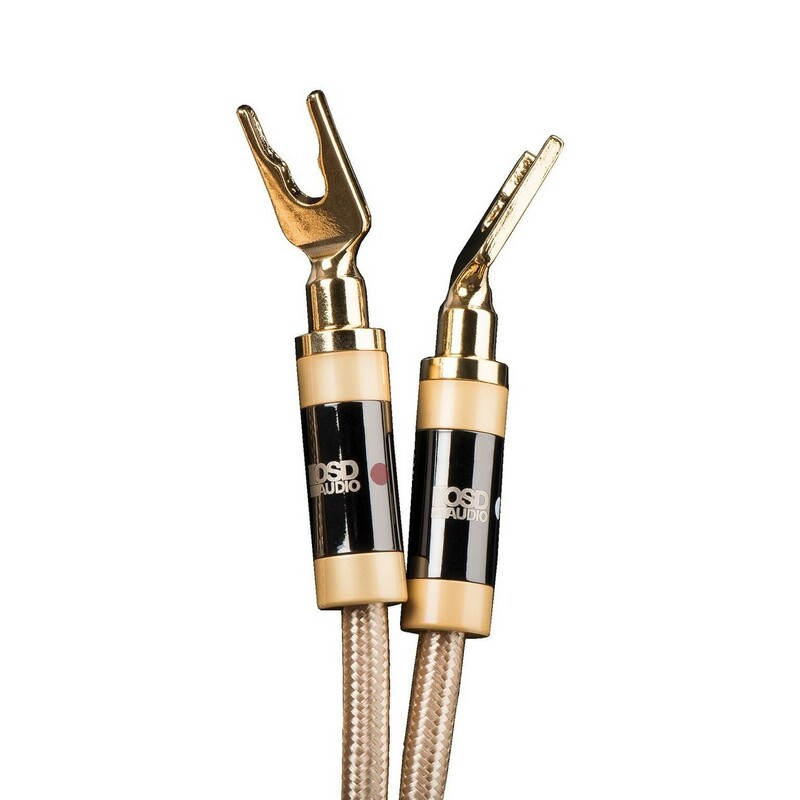 Designed for listeners who can hear and appreciate subtle acoustic nuances, Aurum’s stereo pair cable is constructed of 99.99% pure copper conductors and includes custom-tooled gold/gun metal-plated connectors for an exceptional signal transfer. 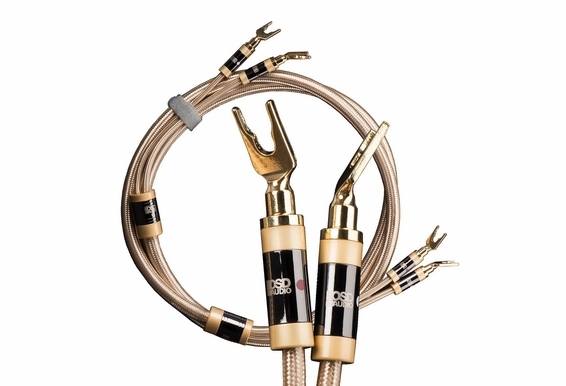 In addition to the high-quality construction, these heavy-duty 14-gauge stereo pair cables include a flexible braided golden cotton sleeve jacket and matching splitter blocks that will add a polished look to your sound system, especially where the back connections are visible. 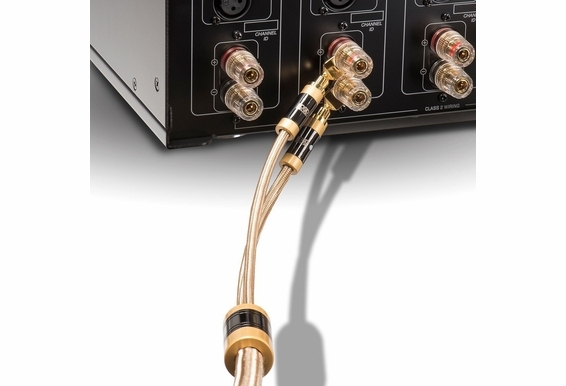 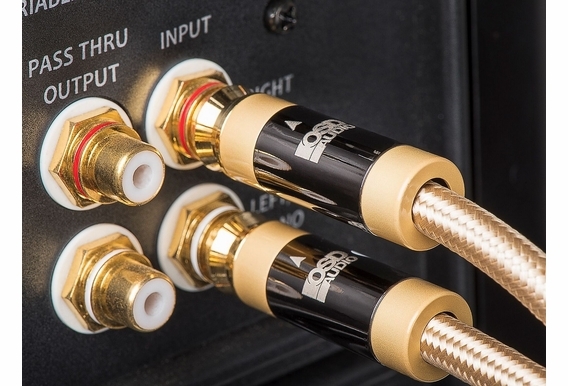 Aurum’s high-end stereo speaker cables contain 99.99% copper dual center conductors. 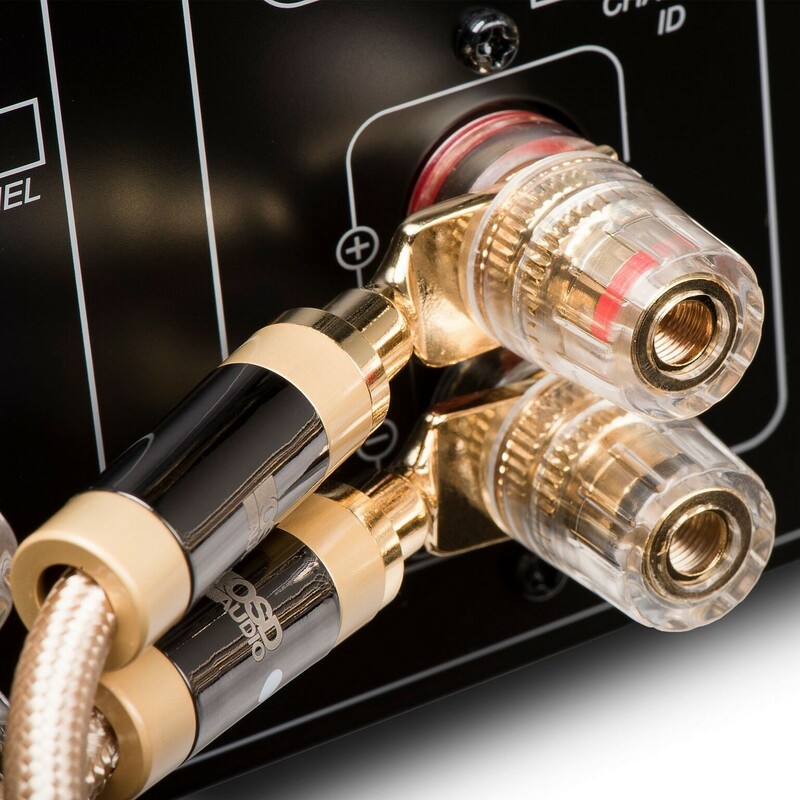 The high conductivity of copper adds warmth to the audio and allows subtle sonic detail to come through, particularly on low frequencies. 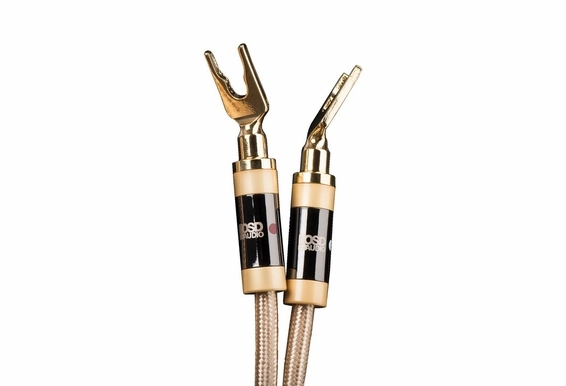 Includes a flexible braided gold cotton outer jacket that shields against outside noise and interference as well as proprietary custom-tooled gold/gun metal-plated inter-changeable spade and banana plug connectors. 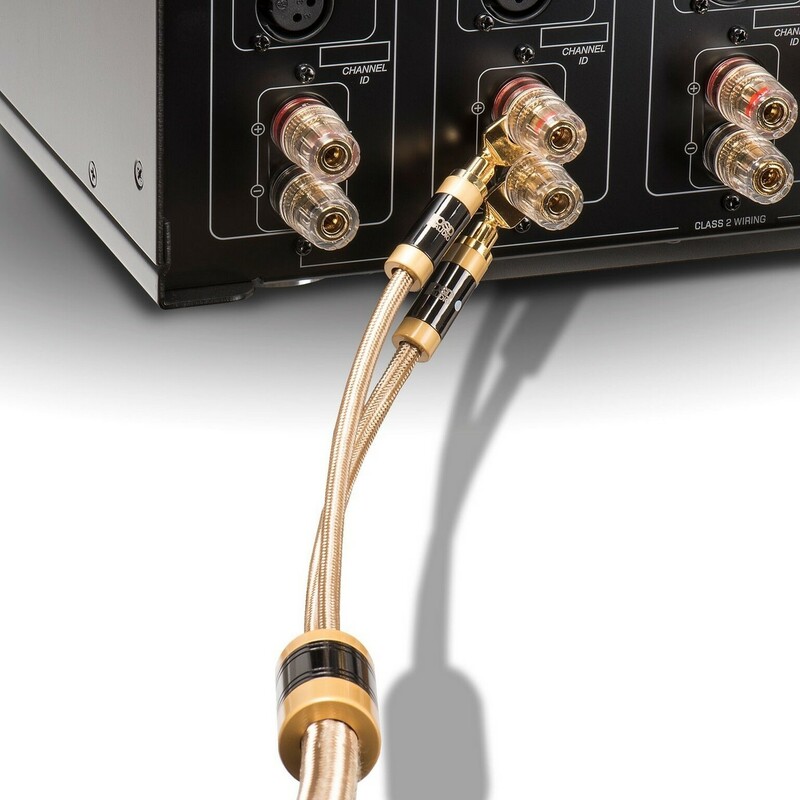 Aurum makes cables that do what we say they will, but we don’t exaggerate our claims or our price. 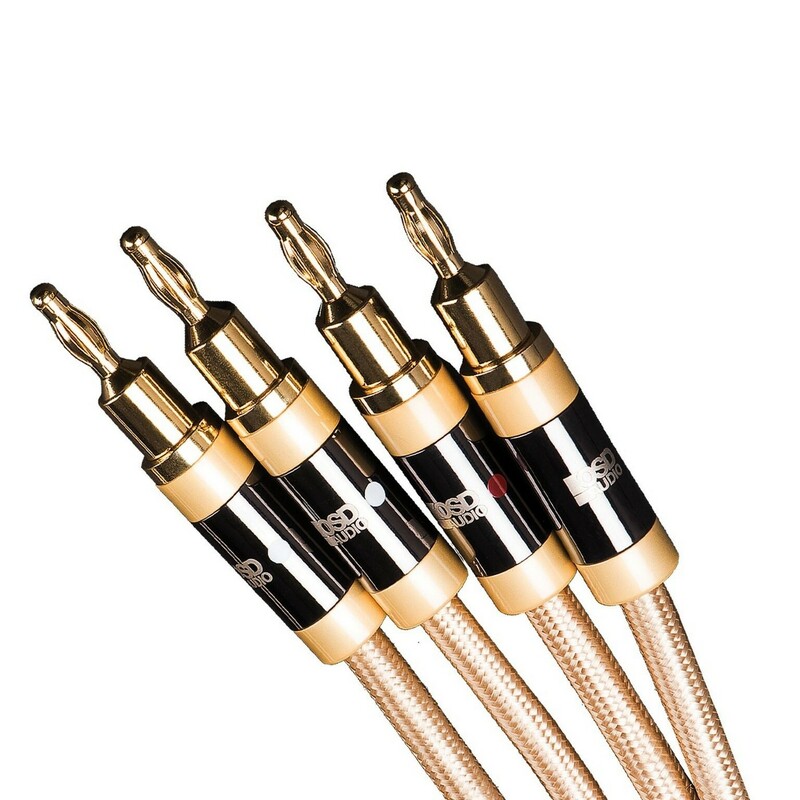 The integrity of each cable is carefully tested throughout our manufacturing process, so every Aurum cable delivers on performance or you can return it with no questions asked. 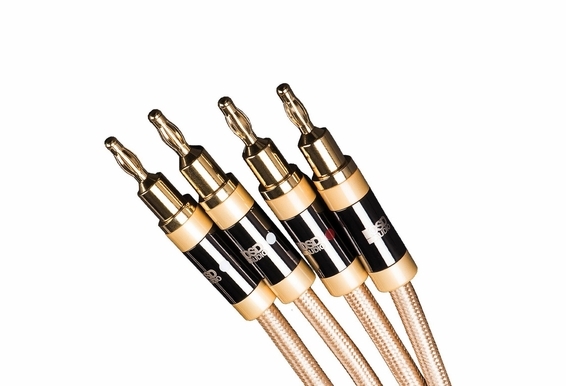 Sold as a single cable and available in 2m, 3m, 5m, 8m 10m, 12m, 15m lengths, Aurum high-end 2-conductor stereo speaker cable also includes matching splitter blocks for more cosmetic-looking cable runs.